Does It Matter If Candidates For Congress Live In The District They Seek To Represent? A map shows Pennsylvania's 14th Congressional District (purple) in relation to the addresses of the candidates seeking to represent its residents. Only Democrats Bibiana Boerio and Adam Sedlock live within the new boundaries. 90.5 WESA's An-Li Herring explores the residency rules for Pennsylvania's Congressional candidates. 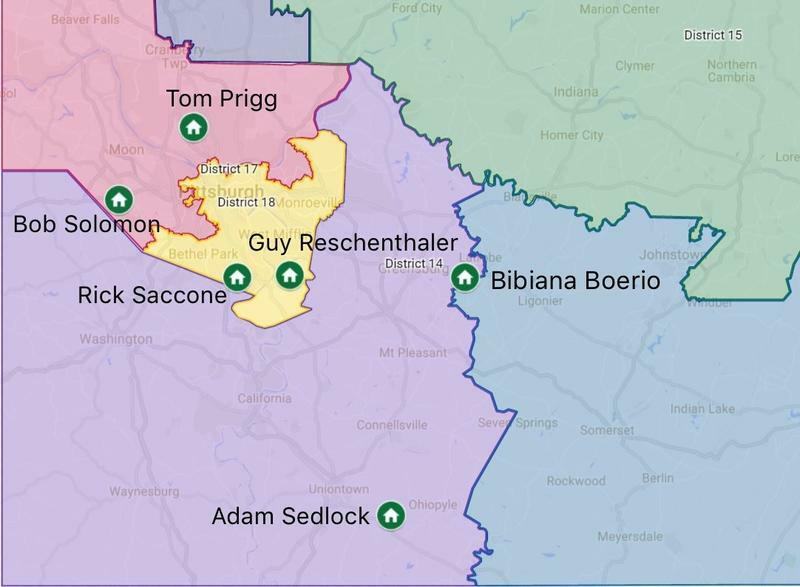 Most of the candidates who intend to run in Pennsylvania’s newly drawn 14th Congressional District to the south and east of Pittsburgh don’t actually live there. Candidates Tom Prigg (D-McCandless), Guy Reschenthaler (R-Jefferson Hills), Rick Saccone (R-Elizabeth) and Bob Solomon (D-North Fayette) currently live outside the district, which covers Fayette, Greene and Washington counties, plus the western portion of Westmoreland County. All four reside in neighboring Allegheny County. Candidates Bibiana Boerio (D-Unity) of Westmoreland County and Adam Sedlock (D-Wharton) of Fayette County already live in the 14th, with Boerio about 1,000 feet from its eastern boundary. Democratic strategist Mike Mikus said during the typical redistricting process, it’s not unusual for candidates to run outside their home district. That process takes place every 10 years, after each U.S. Census is completed, and can shift district lines based on changes in population. The Pennsylvania Supreme Court’s decision to issue a new map last month came a few years before the next redistricting was set to take place. “Obviously this is an extenuating circumstance where the districts were redrawn in the middle of the redistricting cycle, so it did create some confusion,” Mikus said. Republican consultant Dennis Roddy said residency shouldn’t be much of an issue for candidates such as Reschenthaler, Saccone and Solomon, who live just outside the district. Politically and culturally, they’re residents of the 14th, Roddy said. Reschenthaler is a client of Roddy’s campaign consulting firm, ColdSpark. Nationally, about 5 percent of U.S. House members are registered to vote outside of the district they represent, according to an analysis published by The Washington Post last year. Under the U.S. Constitution, members of Congress must reside in the same state as their constituents. Still, Saccone said he plans to move to the 14th before the election is over, according to campaign advisor Bob Branstetter. Prigg said he’ll relocate if he wins in November. Solomon didn’t commit either way, but said if elected, he’ll honor his constituents’ wishes. Reschenthaler has not yet confirmed his plans. Roddy and Mikus agree that it’s not unheard of for candidates to live outside the district they seek to represent. If candidates prevail at the polls, however, the operatives said it would be unusual for them not to relocate to the district that elected them. “It would be expected by almost every voter that they would move and actually take up residency in district they’re looking to represent,” Mikus said. Why Does The Armstrong Tunnel Have A Curve? 90.5 WESA's Katie Blackley reports on the history of Pittsburgh's Armstrong Tunnel. 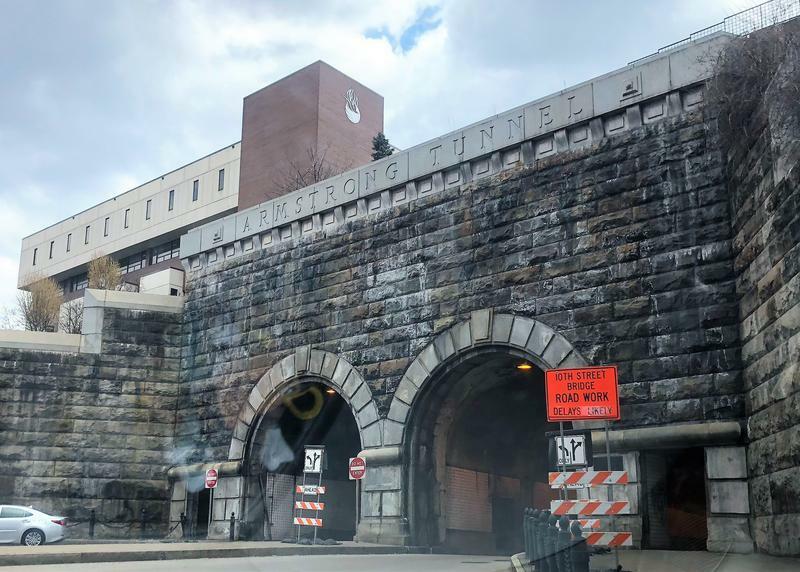 Traveling from Forbes Avenue on Duquesne University’s campus to the South 10th Street Bridge, drivers and pedestrians making a right into the Armstrong Tunnel encounter something unusual for a tunnel: a curve. 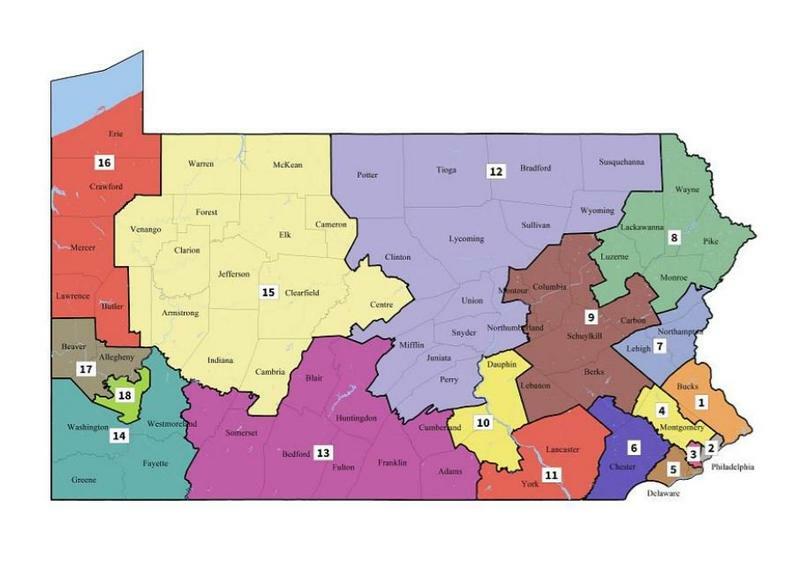 A panel of federal judges on Monday dismissed a legal challenge by Republican congressmen to a district map imposed last month by the Pennsylvania Supreme Court. The decision does not end litigation over the matter, but it makes it much more likely that this year's congressional elections in Pennsylvania will be conducted under district lines widely viewed as more favorable to Democrats than a 2011 map the state court threw out in January. Mayor Bill Peduto exclaimed in jest, "Hello, scary puppets!" 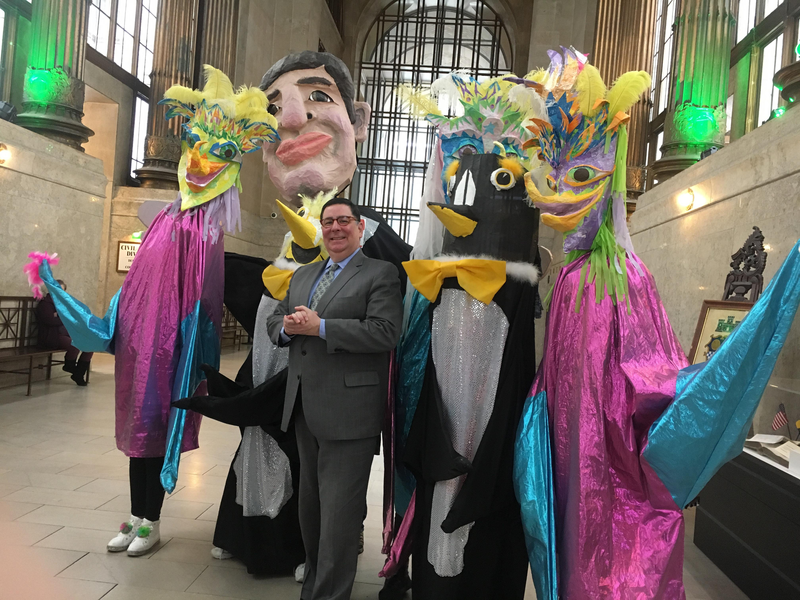 as he met puppeteers costumed as tropical birds, glittery penguins and even a massive effigy of Peduto himself in the City-County Building.